Vanessa's Card Studio: Spring = Vacation! I wanted to let all my followers know that this blog will be unmanned until March 10th. It's spring and to me, that means it's time to go on vacation. 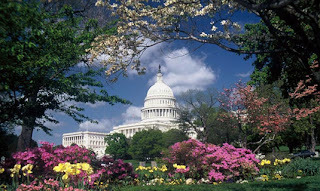 :) I'm going to Washington, DC where I'm sad to say there will be no cherry blossoms yet, but I'll still be having a great time seeing our nation's capitol. I even managed to get a tour of the White House which I've never done in the past! I will be sending the shipping rebates for orders placed in my absence when I return. Also, orders for the giant paper clips will not be filled until the week of the 10th. I won't be taking a laptop with me, so I won't have access to my email. I will, however, reply to all once I get home. Here's another example of the bookmarks I've made recently. Enjoy! Hope your enjoying your vacation! I'm your newest follower and I'll be returning for inspiration for sure!